(Ichi You Rai Fuku means the winter ends and spring come. 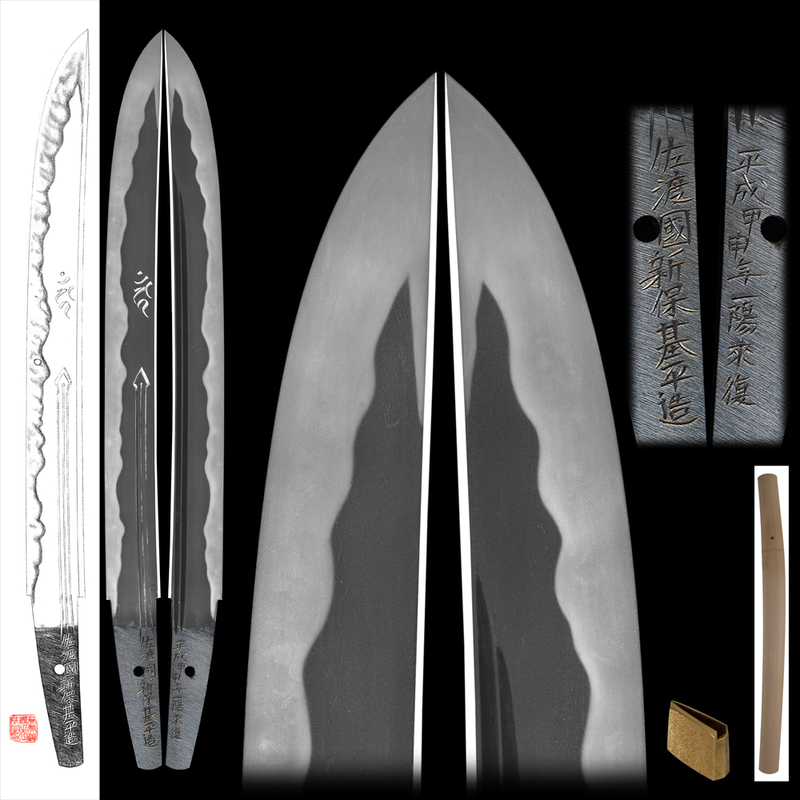 Blade length : 37 cm or 14.57 inches. Width at the hamachi : 3.45 cm or 1.36 inches. Width at the Kissaki : 0.5 cm or 0.2 inches. Shape : It is 3.45cm width. It is rather thick and the mine is mitsumine. On the surface Bonji is engraved and the back side is two line hi is engraved. 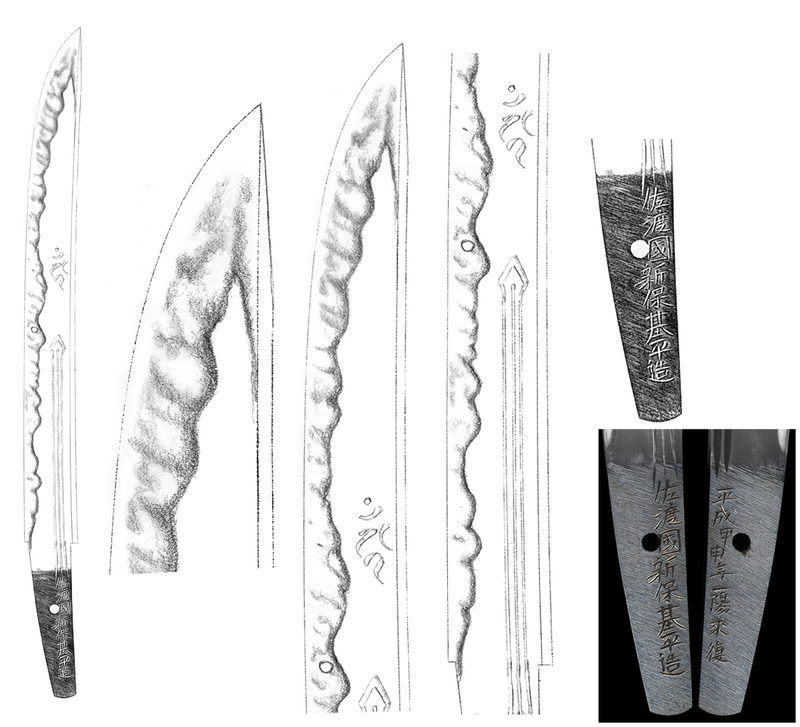 Jitetsu : Itame had well grained with jinie attached. There are delicate chikei seen. It is the highest quality jigane. Hamon : NIe base gunome midair, with ha and yo well seen in the ga. It is deep nioikuchi piece. The boushi is sharp ended. Special feature : Sado kuni Shinpo Motohira was born in Showa 16th（1941）　at Sado Ryotsu in Niigata prefecture. Award of Excellence ninth, and also won Award of Effort　and Award of Encouragement. He is now 72 years old and is still developing his work. This piece most likely been imitating Nagayoshi piece. The clear jigane and graceful hamon is absolutely wonderful. We are very honored to introduce this excellent Shinpo Motohira piece. It is impeccable piece with no kizu or flaw.